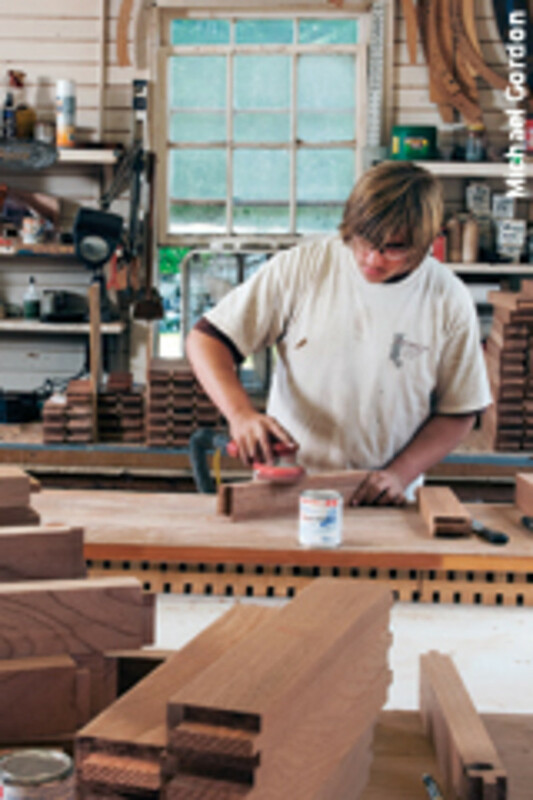 Beech River Mill is anything but your run-of-the-mill woodworking shop. 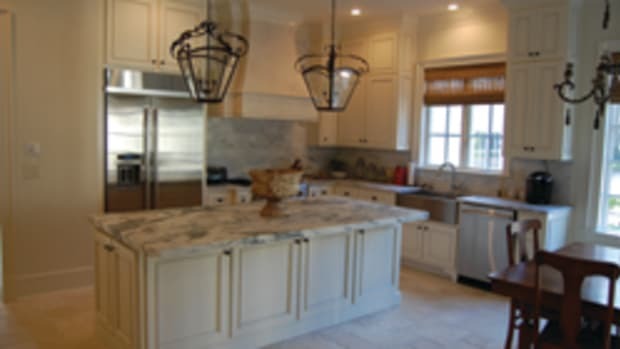 This family-run business produces custom louvered and paneled products such as doors, shutters and blinds for clients throughout the country. The unique 2,500-sq.-ft. shop is part of a quaint historic mill building in Center Ossipee, N.H., a truly quintessential New England town. The mill was purchased by the Ouellette family in 1999 as a turnkey operation with antique machinery as well as current employees and clients. "Fortunately, the previous owner had work lined up for us, plus he had already established an excellent rapport with contractors in the Greater Boston area. Earlier on, this is where a majority of the work came from," says operations manager Randy Ouellette. Orders are filled for both large and small jobs, from a single storm door to providing for an entire subdivision or a large-scale commercial project. 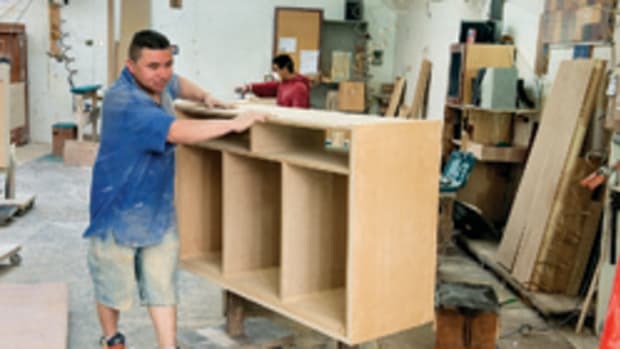 Four experienced craftsmen create the products using traditional mortise-and-tenon joinery methods. Big plans are in store for the restoration of the hydro turbine that once powered the mill, which could ultimately save the shop thousands of dollars on electricity. The owners are currently in the process of turning the lower level of the mill into a small museum by displaying some of the older belt-driven machinery no longer in use. 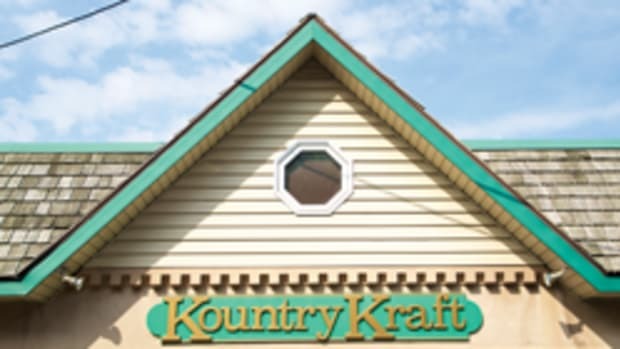 Randy&apos;s parents, Don and Beverly Ouellette, moved to Center Ossipee from Washington Township, N.J., in spring 1999 and purchased the business in June of that year. They currently reside in a modest home located roughly 100 yards from the shop&apos;s front door. The idea surfaced in 1998 when Don read in Woodshop News that the mill was for sale and he started crunching the numbers. He decided that by downsizing and liquidating some personal holdings, the deal could go forward. 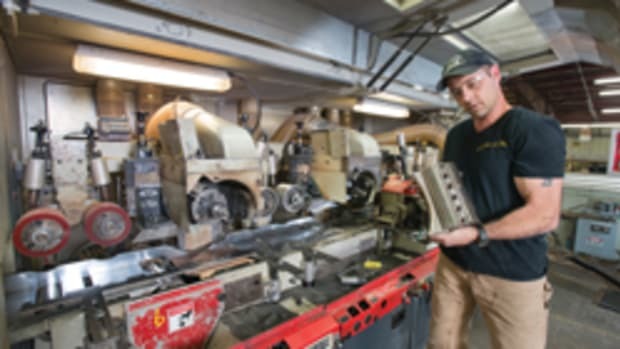 At the time, Don was thermoforming superintendant for Tenneco Packaging, but woodworking had been an integral part of his life for many years. Ironically, the first woodworking commission he had ever taken was fabricating shutters while in high school. "We took a chance," says Don. "We thought we had enough money to invest in the company and the business materialized from there." Known locally as Smart&apos;s Mill, it is located where the Smart Brothers Inc. Blinds and Shutters began manufacturing shutters and blinds in 1851. 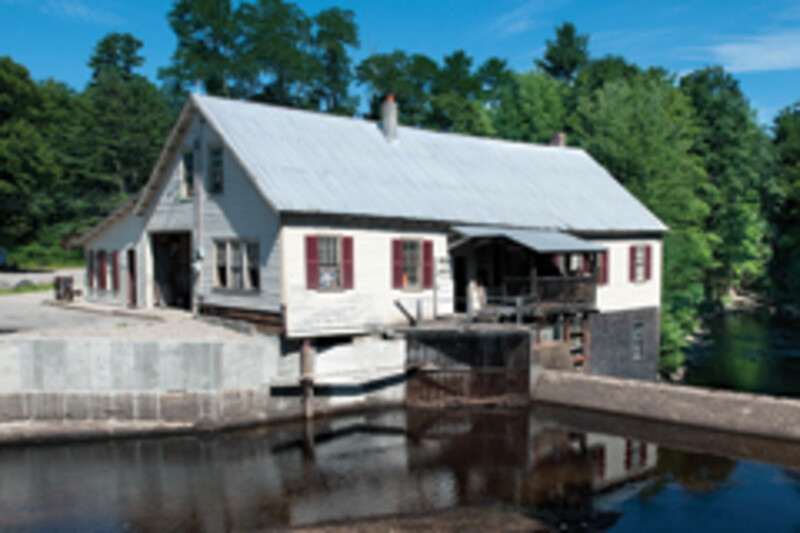 The mill was purchased in 1982 by Ontario&apos;s Greg Dales and featured in 1987 on "This Old House" ("The Westwood House," Episode No. 714). "To [Dales&apos;] credit, he did what he had to do to get the company up and running after it had sat dormant for a few years. 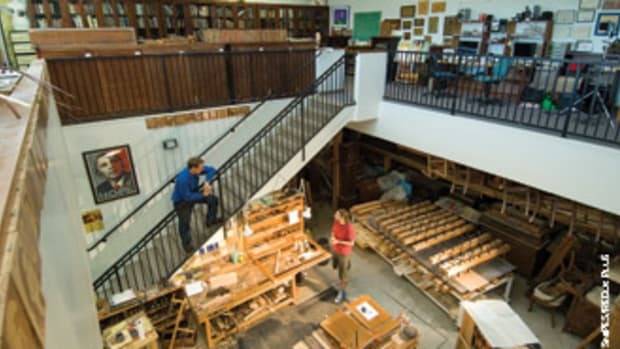 He focused on re-establishing the outfit as a premier manufacturer of custom exterior millwork. However, the building and the bulk of the equipment was in dire need of repair. So we took each issue in priority order, from the most important to the most negligible, and went from there," says Randy. The biggest challenge was expanding the client base, accomplished initially by advertising locally and nationally, including in Yankee Magazine, Traditional Building and Period Homes. Lately, Randy has been burning the midnight oil improving the company&apos;s website. Clients are now located throughout the U.S. and the world, but about 60 percent of the products are shipped to clients in the New England area and from New York to Canada. "We have recently expanded into the Caribbean market with great success and look forward to really developing this area of our business. There are a tremendous number of New Englanders who vacation or have opted to outright move to the Caribbean islands," says Randy. "Typically, the bulk of our work is geared towards more metropolitan or suburbanized areas. 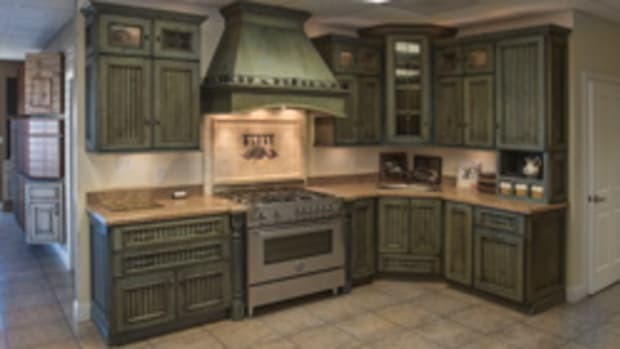 That is not to say rural folks don&apos;t purchase from us, but due to the cost involved with custom millwork, we have found suburban and metropolitan households to be a better fit for our product line." About 75 percent of the company&apos;s work is done for high-end homeowners and preservationists. "The preservation work can be quite challenging, but it also is quite rewarding as well. We have done lots of work on various National Historic Trust and National Parks properties. 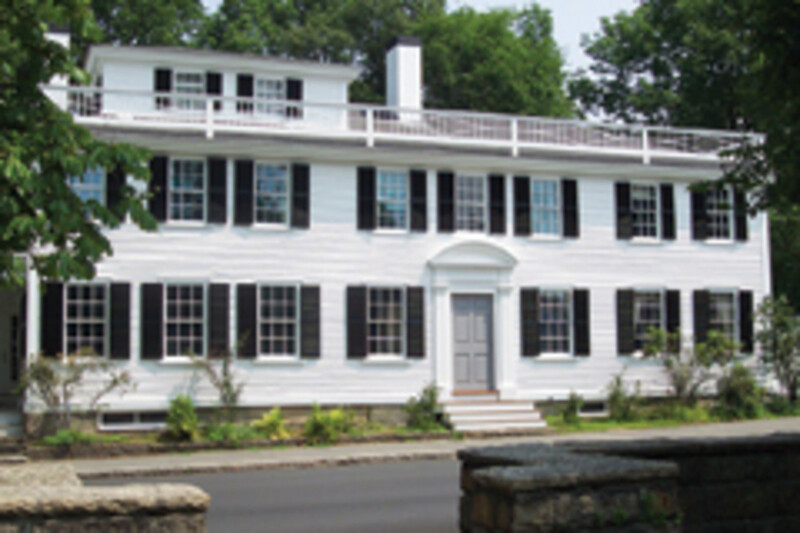 We recently finished a large project for the Adam Beale House in Quincy, Mass." Beech River&apos;s services are often contracted through local and regional architectural firms, such as Cormack Construction Management in Madison N.H.; North Branch Construction in Henniker, N.H.; J.W. Adams in Concord, Mass. 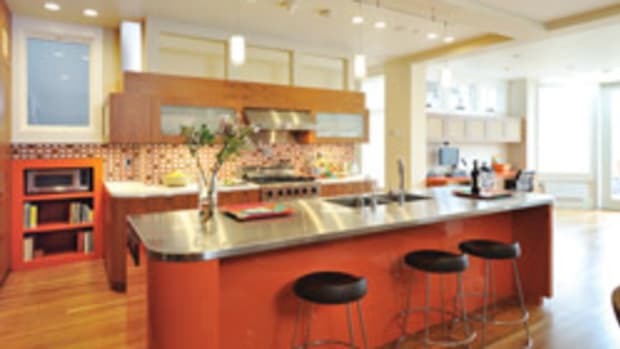 ; The Classic Group in Burlington, Mass., and Woodmeister Master Builders in Holden, Mass. The company also works directly with homeowners, which is very common in the Beacon Hill and South End historic districts of Boston. 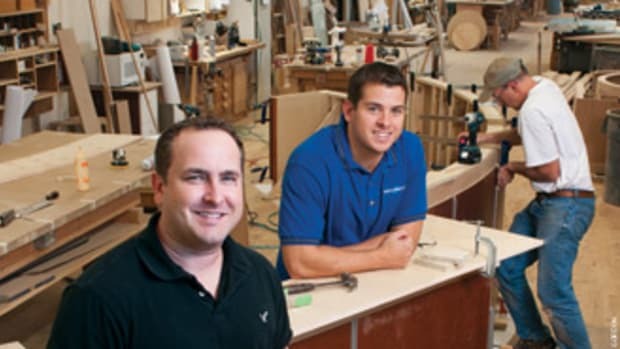 Beech River produces exterior and interior blinds, shutters and doors, and custom hardware and moldings. Exterior blinds and shutters are the biggest sellers, usually for decorative purposes. But they&apos;re built to function and keep the weather out - huge selling points as homes are being built tighter and tighter. 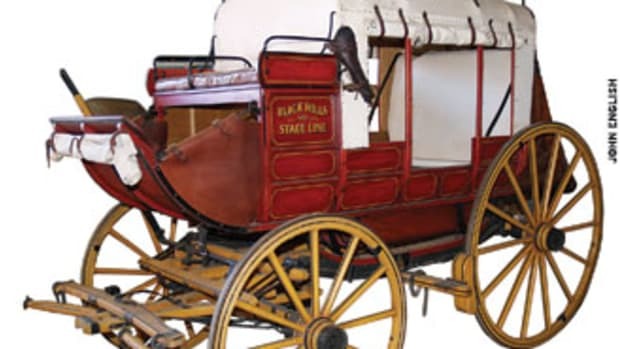 In the early years of operating the mill, the Ouellettes received many inquiries about shutter hardware and discovered that historically accurate hardware was not being made or was of poor quality. That inspired the company to develop its own line of reproduction hardware. When necessary, the company works closely with several blacksmiths to provide customers with even harder-to-find pieces for clients with specific requests. The company&apos;s construction methods are a main reason why clients keep coming back for more, Randy says. He says a blind and pinned mortise-and-tenon joint coupled with waterproof glue is far superior to more contemporary construction methods. The materials used can&apos;t be beat either. 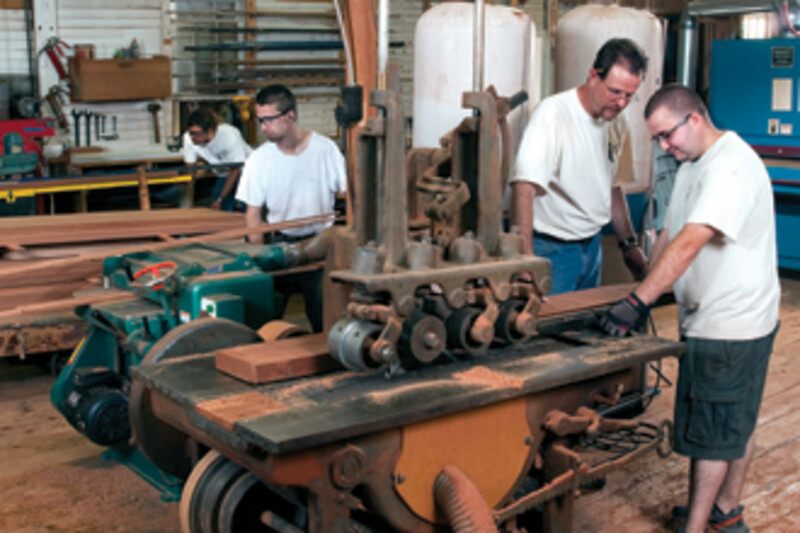 "Currently most of our exterior product line is fabricated from either cedar or African mahogany. Both of these materials respond very well even in the most rigorous of outdoor conditions. They both are rot- and insect-resistant and finish superbly. Our interior product can be fabricated out of whatever the customer wishes - oak, pine, poplar, maple, walnut, etc. We do our best to see what is available and most cost-effective for both us and our customers." 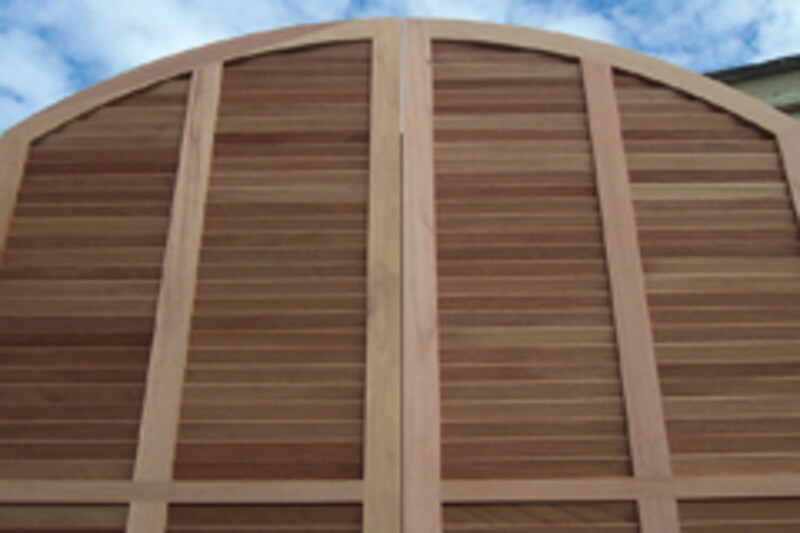 Materials are purchased primarily from Rex Lumber in Acton, Mass., Keiver-Willard Lumber in Newburyport, Mass., and Downes & Reader Hardwood Co. in Stoughton, Mass. The shop sits on the banks of the scenic Beech River in Center Ossipee on old Route 16. It a short drive from popular summer and winter vacation spots in Mount Washington Valley. The shop features a good deal of working machinery from the 1800s. "The vintage equipment was built to last and last. Great care was taken in their design and to make them as easy to service as possible. For that, I have all the respect in the world for those who came before us. As we speak right now, a ripsaw from 150-plus years ago just fired up - it&apos;s music to my ears. Knowing that every morning when I come into work, that those pieces will start right up every time makes life a little easier," says Randy. The vintage machinery includes a Fay & Egan Lightning 14" ripsaw, Levi Houston single-end tenoner and 36" Crescent band saw. There&apos;s also a Crescent hollow chisel mortiser from the 1950s. The modern machinery includes a General 10" table saw and 14" band saw, Powermatic spindle shaper, two DeWalt radial arm saws, Halsty 37" wide belt sander, Grizzly 8" bed jointer and 20" flat bed planer, Jet edge sander, Festo/Gotzinger JFA 57 Louver Groover, Smithway 2" x 4" four-head molder and Garnder Denver 200-gallon compressor. Finishing is done in-house and through independent contractors, starting with an oil-based primer. "With the natural tannins and resins found in cedar and mahogany families, we find an oil-based primer works best to penetrate the wood and keep those elements of the wood where they need to be to extend the life of our products," says Randy. "We then finish things off with a high quality exterior latex paint such as Benjamin Moore or Sherwin-Williams. 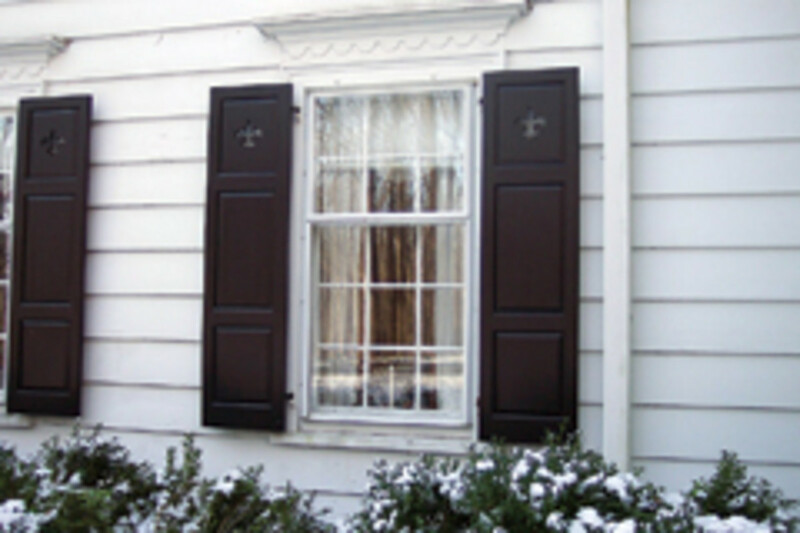 "Everything is spray-finished and 99 percent of clients want their shutters painted a solid color. Black is by far the most popular color, but some want a variation like Black Forest green or Essex green, and once in awhile there will be a request for red or blue." Beech River&apos;s current backlog is about two months. On average, the company&apos;s annual gross is between $400,000 and $500,000. It has done surprisingly well during the recent economic downturn, ironically taking its biggest hit the summer before the financial crisis. "Our worst financial year was in August 2008. That summer was rock bottom for us. Since then, we&apos;ve done nothing but go up. In this current fiscal year, we were up 12.5 percent in sales and expect to finish out the year up around 15 percent," says Randy. The Ouellette family wants to expand the profit volume of the business, but not the physical scale of business. "We&apos;d like to get the annual gross up to about three-quarters of a million a year so it&apos;s a little more comfortable for everybody, but still manageable for us. We may have to hire another part-timer or two, but we don&apos;t want to get it so big that we lose sight of what we&apos;re trying to do," says Randy. On a broader scale, the company also wants to make its image more appealing to possibly secure federal grants for improvements to the mill. The current hydro turbine needs to be replaced with a direct-drive generator/turbine that will take the mill off the electrical grid, saving the company about $12,000 to $14,000 a year. The mill is capable of generating power for about two dozen homes. Several other issues have to be addressed, including insurance, a crack in the pond&apos;s dam and engineering studies. "Ideally we would like to get enough water flow to run eight-hour shifts under hydro power. Back in the 1800s, the Smart Brothers were smart enough to set up agreements with the other mills on the river so everyone could operate. Nowadays, it&apos;s just a matter of flooding the mill pond and engaging the hydro system. We are the only ones left," adds Randy. "The greatest part of our business is when you open the front door in the morning when it&apos;s still quiet, you turn on the lights and look around at the machines, the atmosphere and the history. This is what a woodshop should be. No frills, simple, get it done. There&apos;s no other company that does what we do, the way we do it. We are very proud of that."